Cody, like most other eighteen year-olds, was facing the first hurdle of adulthood—what to do with his life. In order to prepare for his future, Cody looked to his past. His family has a rich history of military service, dating all the way back to World War II. For Cody, his family history helped dissolve the cloud of uncertainty, giving him the confidence he needed to pursue a meaningful career path. 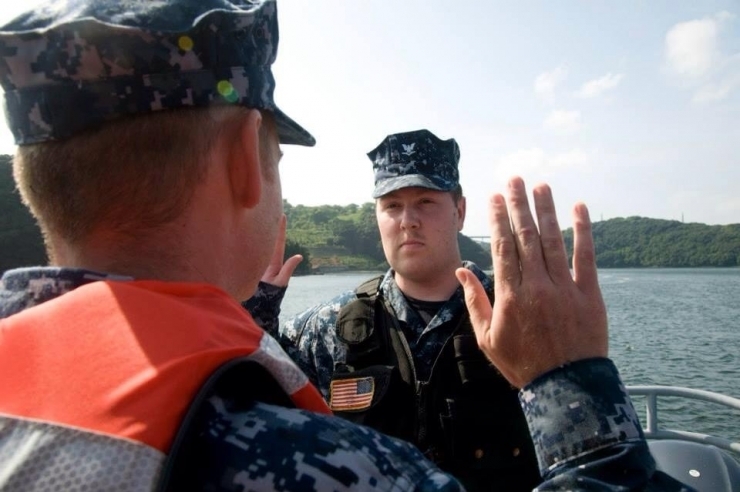 Following in his dad’s footsteps, Cody decided to join the Navy. 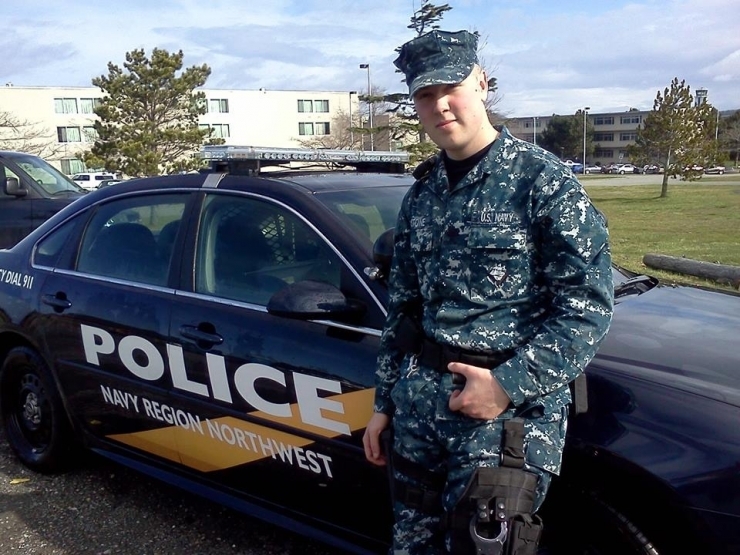 Knowing his heart for protecting and serving others, he enlisted as a Master of Arms. Upon enlisting, Cody not only joined the ranks of his family members, but also a new family - a family bonded by something as strong as blood - the desire and willingness to dedicate their lives to the protection of our freedom. 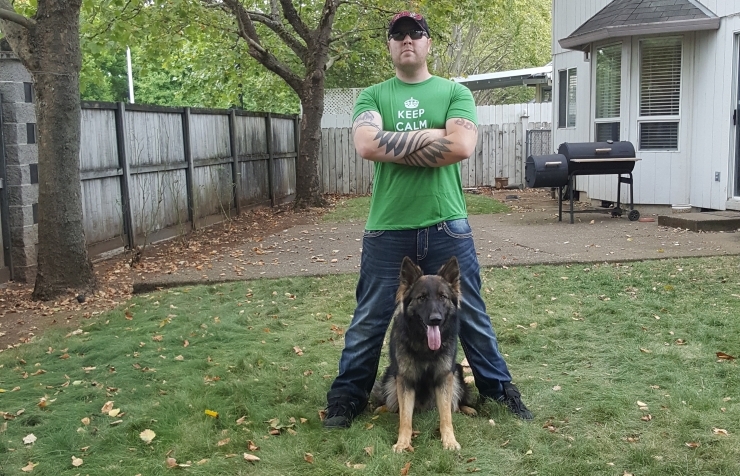 After enduring grueling training programs in the Midwest and then in the South, Cody embarked on the perilous journey of protecting his military family by serving on a military base in the Pacific Northwest. While Cody responded to a variety of calls in his nearly two years as a Master of Arms, one left a lasting and devastating impact. The radio call that came in just a couple of hours into his shift was as dark and dreary as that particular night along the coast. Cody was tasked with securing the scene of a suicide. As he approached the scene, he quickly realized what he thought was tint covering the window of the driver’s side, was infact blood. The images he saw that night left a carved impression in his mind...one that would continue to haunt his thoughts and dreams for years to come. 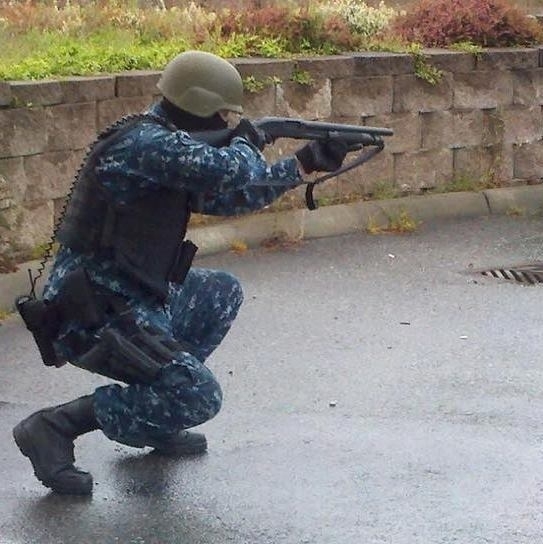 Despite the terror-filled nightmares he experienced night after night, Cody resolved that they would not deter him from his commitment to serve and protect. With selfless conviction in his mind and heart, he re-enlisted and was sent overseas to continue his service as a Master of Arms. Unfortunately, the physical distance now separating Cody from the horrendous scene that impacted him so deeply, did little to alleviate the nightmares. During his waking hours Cody was fighting for the safety of others. When he slept, he was fighting for his own sanity. The unceasing fighting began to take its toll. Soon, not only was Cody’s mind under attack, but his body began to feel the weight of the stress. He began experiencing excruciating, debilitating pain in his abdomen. The doctors on his base recognized that this stomach pain was but a mere symptom, an ever-present indicator of something much more serious. 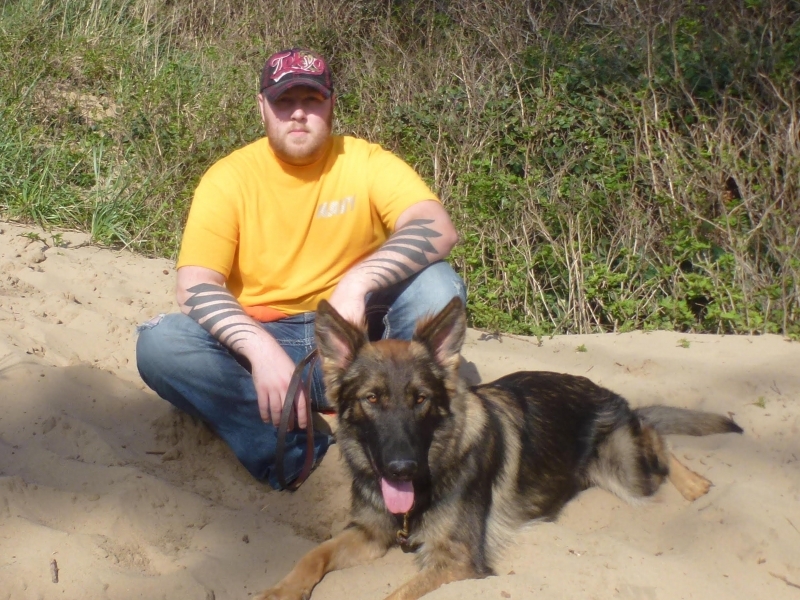 The hidden culprit was exposed when Cody received his diagnosis of PTSD. Armed with a diagnosis, Cody hoped that his diminished sense of self would be restored. However, after six months of treatment, Cody was making little to no progress - the nightmares became even more vivid and the stomach pain more agonizing. Ultimately, Cody’s mind and body forced him into retirement. Unable to go out in public, Cody recognized his own desperation and reached out to a friend. What he didn’t know at the time was that this call would change the course of his life. 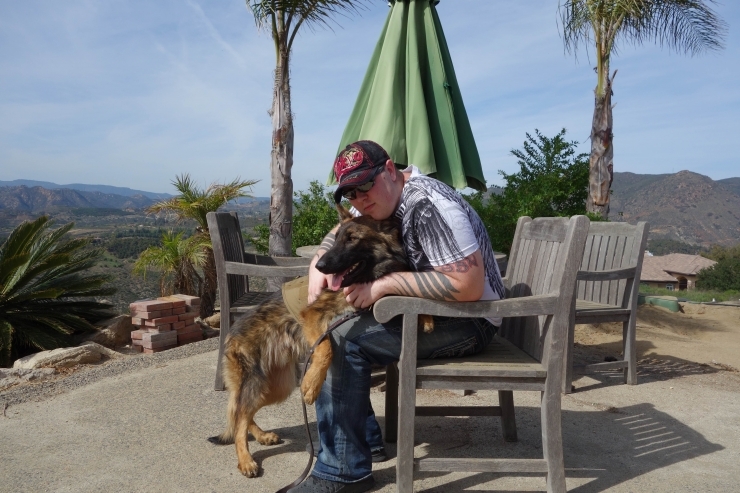 Cody’s friend recommend that he consider a new approach to treating his PTSD. This new form of treatment had a name - Otis. Four-legged, furry Otis did for Cody what so many doctors couldn’t - he offered Cody companionship - companionship that would allow him to rejoin the world with a sense of security. However, the viability of his new found freedom hung in the balance as Cody desperately tried to figure out how he could afford to keep Otis. Cody shared his plight with Lisa from the service animal organization, K-9 Guardians. Lisa recognized the tremendous impact Otis had on Cody’s life during their trial period together. She recommended that Cody reach out to a community known for their determination in making the impossible possible. As soon as he heard the name, Chive Charities, positive memories began to flood Cody’s mind. He was reminded of the online stories of hope and resilience that he had read. He even remembered that he had donated to these causes from time to time. Never did he imagine that he would be on the receiving end of those donations. Because of the generosity of Chive Charities members, Cody received a grant for $7,500 that ensured that he and Otis would never be separated. The peace of mind that Cody has with Otis by his side is priceless. When Cody begins to panic in highly-populated areas, Otis jumps in his lap to help him relax . When Cody is on the move, Otis will go forward and clear corners to ensure that Cody won’t be surprised. With Otis by his side, Cody has been able to reengage with society by returning to school, with the goal of becoming a civilian police officer. To Cody, Otis is not just a dog, he is a partner. In the same way, Chive Charities is not just a charity to Cody but a family - a relentlessly generous, life-giving family! Join the Chive Charities family HERE.